Needless to say, -20~-35C temperature is suitable for most frozen products, including beef, chicken, ice cream and seafood, etc. 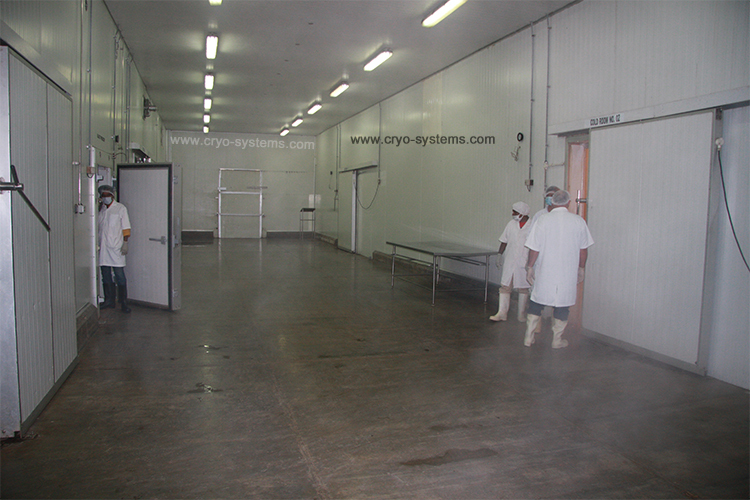 But when it comes to some special products, -50~-60C ultra low temperature cold room is a must. For example, we can’t put the frozen tuna in a -30C freezer room. Quality is very important and now we’ll tell our basic design. 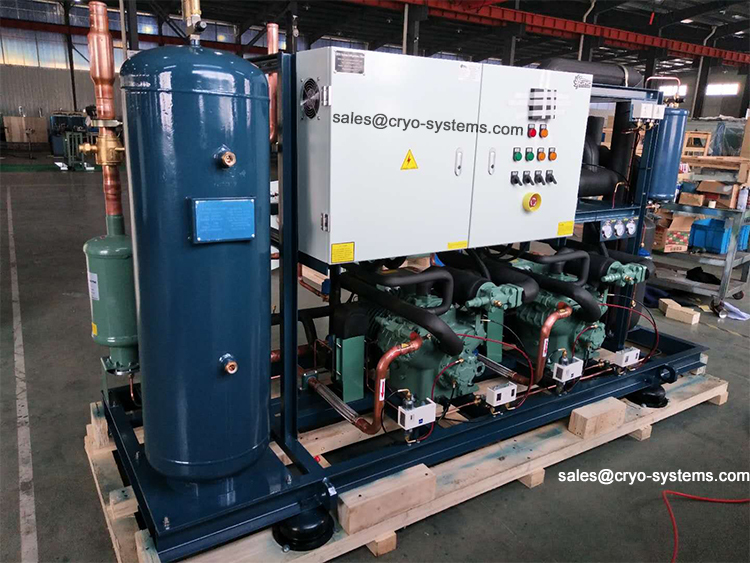 It’s quite easy to design refrigeration equipment for a chiller room, freezer room and blast freezer. We could use monoblock refrigeration units, which is easy installation and no need commissioning. We could also use split systems, with good price and original new Bitzer compressor. We could also use a compressor rack systems, which is power saving, spacing saving and operation-friendly. But when it comes to -50~-60C, we could no longer use same design. Normal design evaporator can’t work well. With authorized technology from our European partners, we could give you a high quality -60C refrigeration systems, which is long lasting, power efficiency and easy operation & maintenance. We would use Bitzer compressors, Mycom, SRM, Hitachi screw compressors, etc. They has different characteristics and we would listen to customers before quotation. High density 42kg/m3 is a must. PU panels with cam lock is a good choice. But best choise is PIR panels. It should be a good design, with both doorframe heater and doorsill heater. It’s very important. So we would send our engineer on site to provide these services. 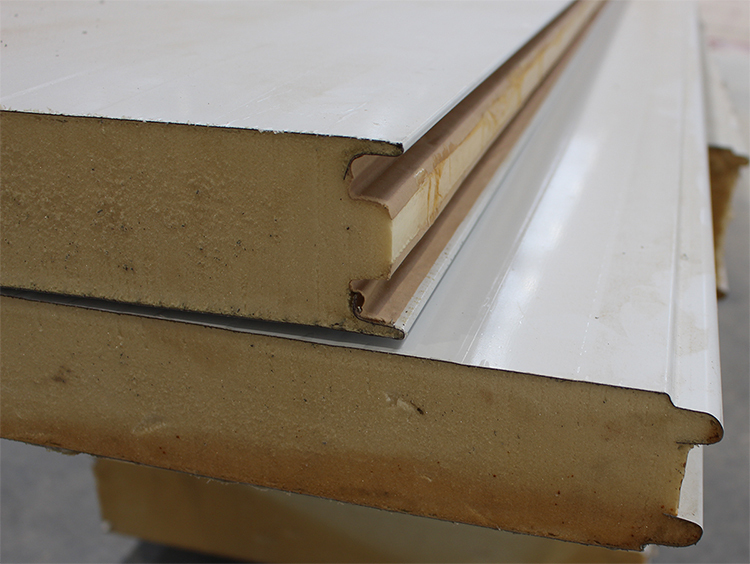 For these ultra low temperature blast freezer, power saving is very important. Supposed we improve it by 20%, it will make huge difference on the electric bill. Rack systems, electric connection, light, forklift, etc. All are not same as a normal freezer room. 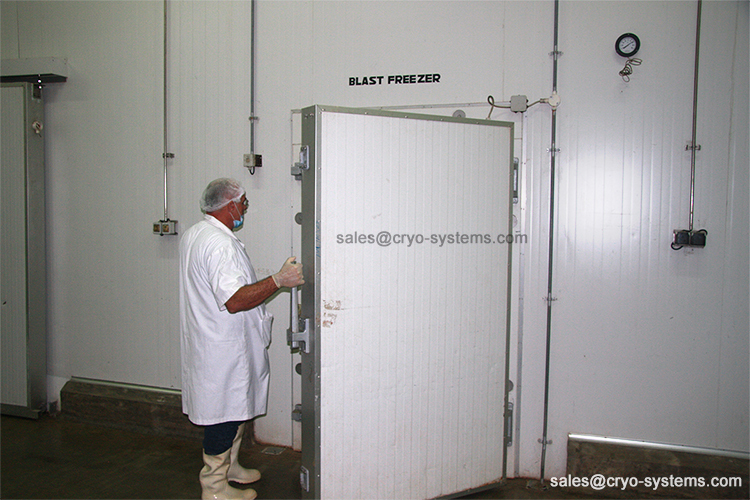 For more details, please contact us: michael@cryo-systems.com.